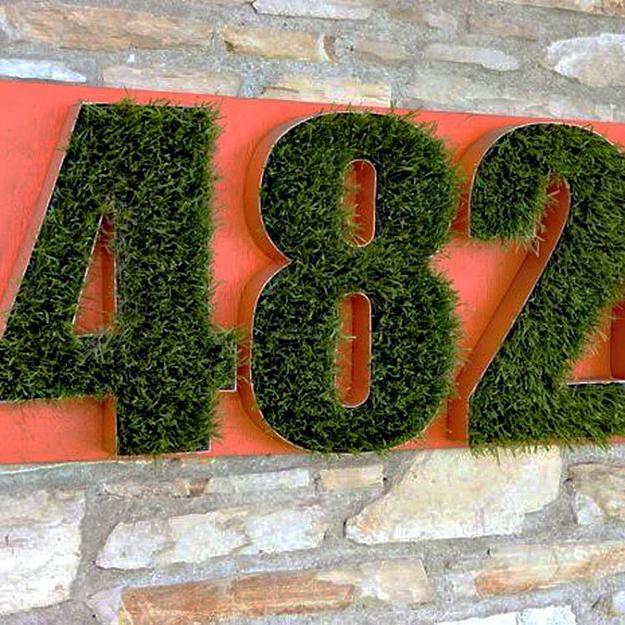 Plants and lights are two beautiful ideas to emphasize the originality of your house number sign. 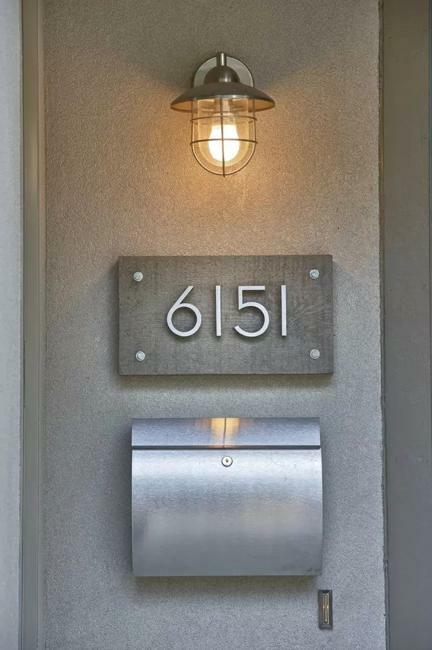 Decorated and well-illuminated numbers not just help find your home, but give a lovely accent to your front door or house exterior. 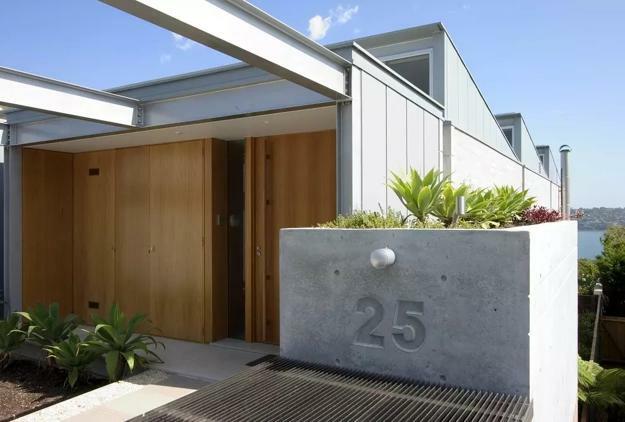 Number plates are important details of outdoor home decorating. 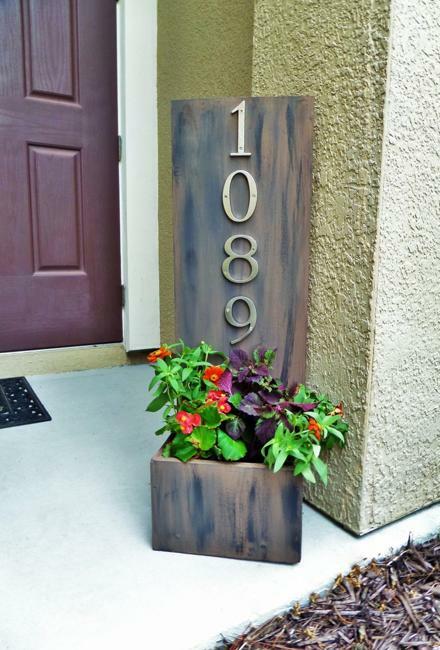 Stylish outdoor lights illuminate the numbers beautifully at night, while planters turn house number signs into fabulous yard decorations. 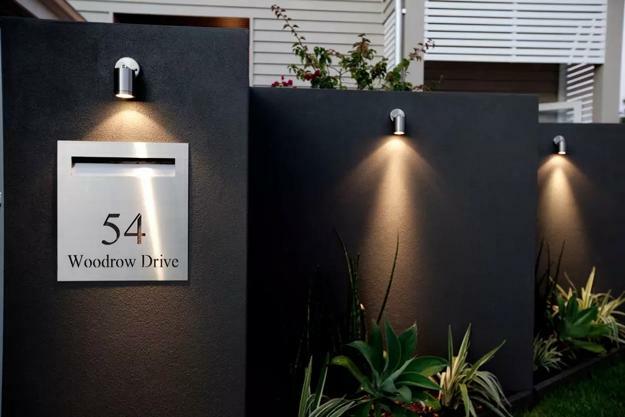 Have a look at gorgeous designs of planters and number plates with lights. 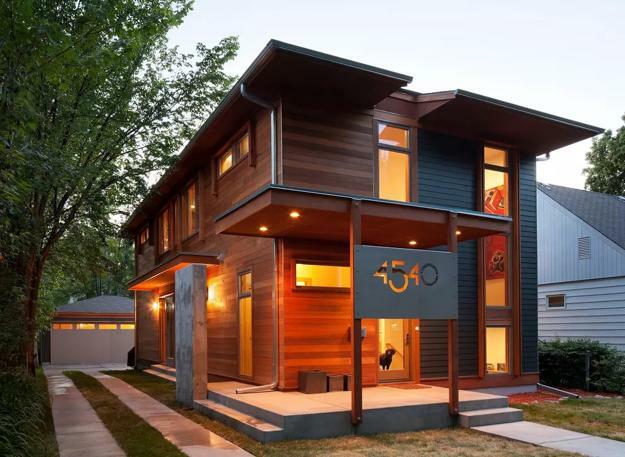 They are functional, attractive, and inspiring. 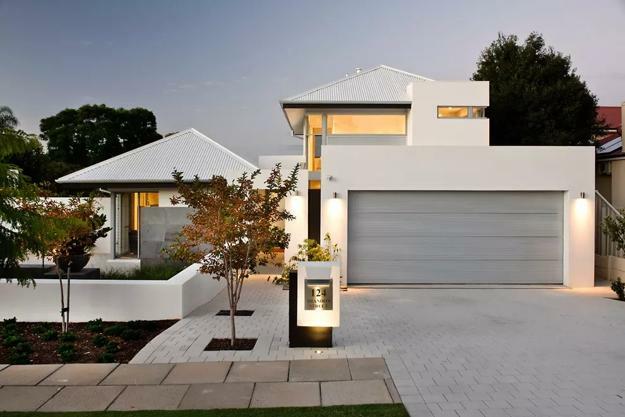 Outdoor lights help significantly in the emergency situations, make homes look inviting and keep streets safe. 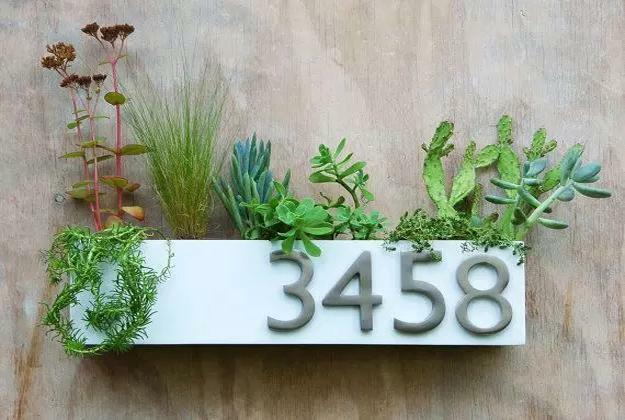 Containers with plants add an eco-friendly vibe to home decorating. 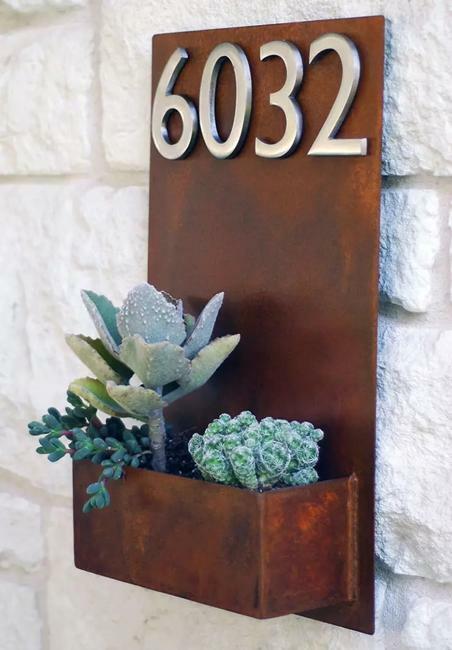 Decorative grasses, cacti, succulents, and flowers look charming in metal and concrete planters with house numbers. 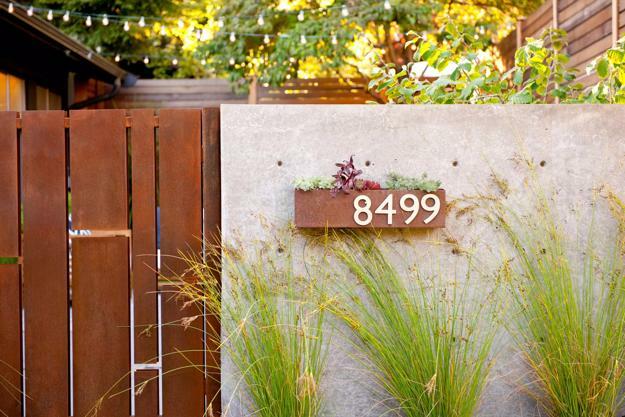 Corten steel, wood or concrete are fabulous materials that create beautiful contrasts with plants. 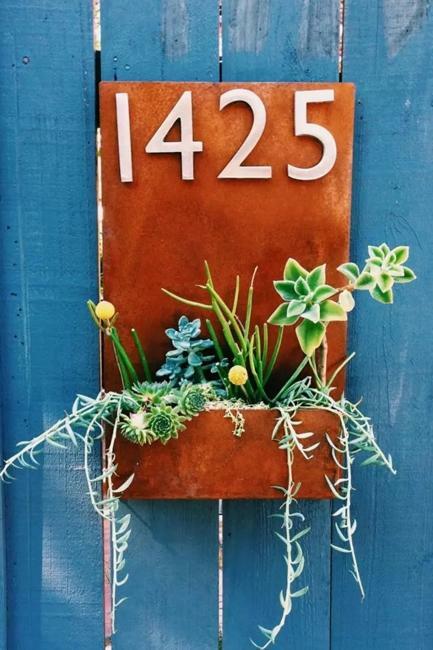 Gray metal color is a naturally neutral color choice for the designs, while rusty brown colors of Corten steel add a warm touch to house number signs. 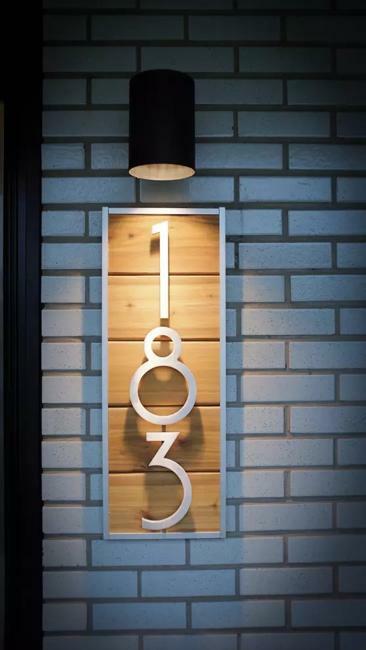 Contemporary outdoor lights that illuminate house numbers make them glow in the dark emphasizing the style of design. 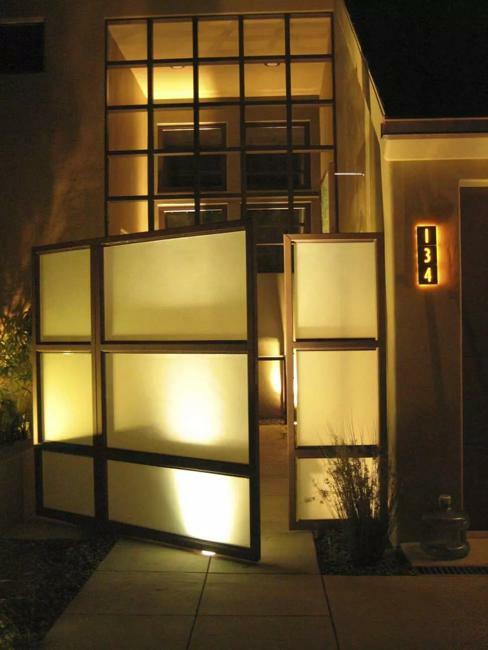 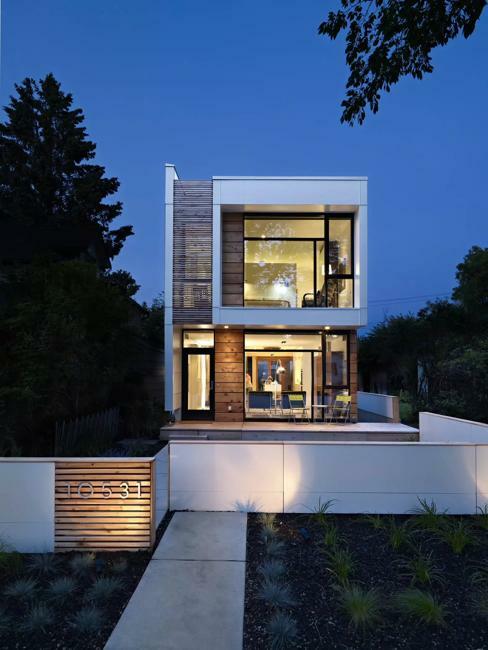 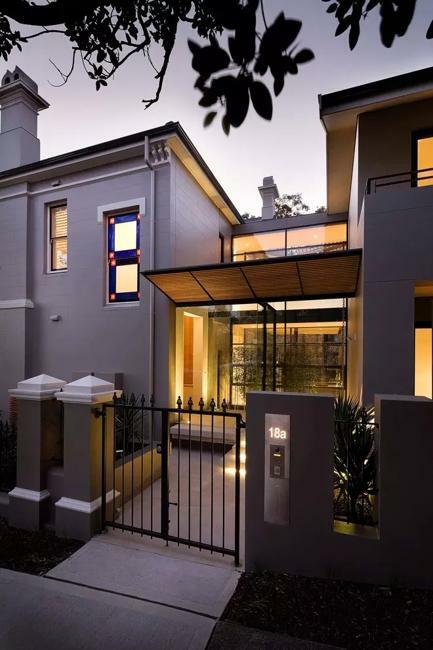 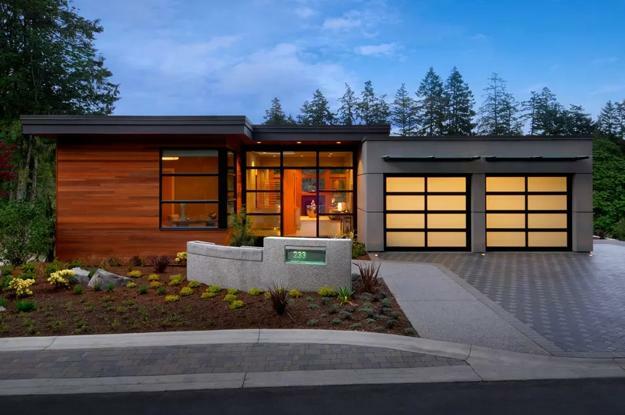 Creative ideas and elegant lamps help beautify exterior designs and make a home feel welcoming. 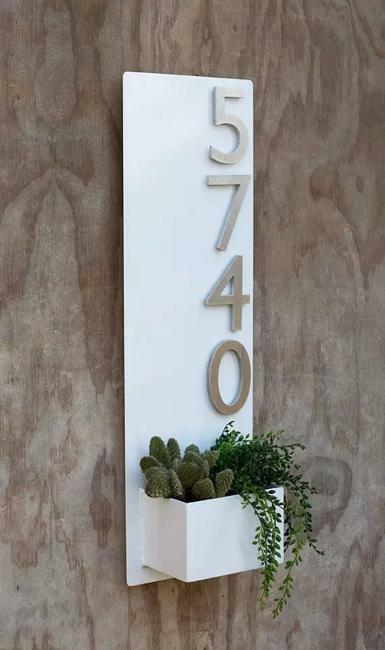 Light adds warmth to metal numbers, and increase the effect of gorgeous wood and metal combinations. 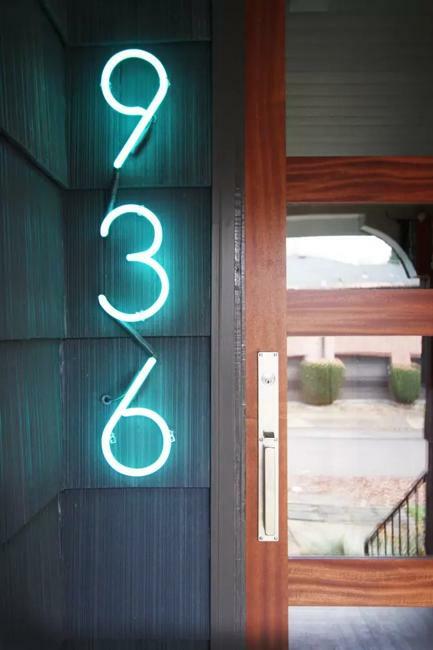 Glass numbers glow in the dark showing off elegant contemporary designs. 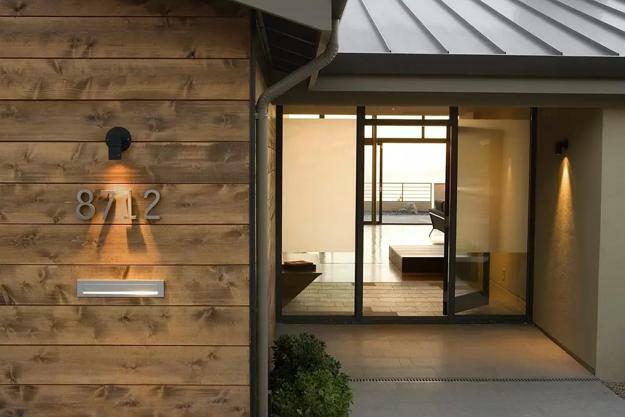 Cut out numbers let Corten steel pass the light creating an amazing effect of creative illumination. 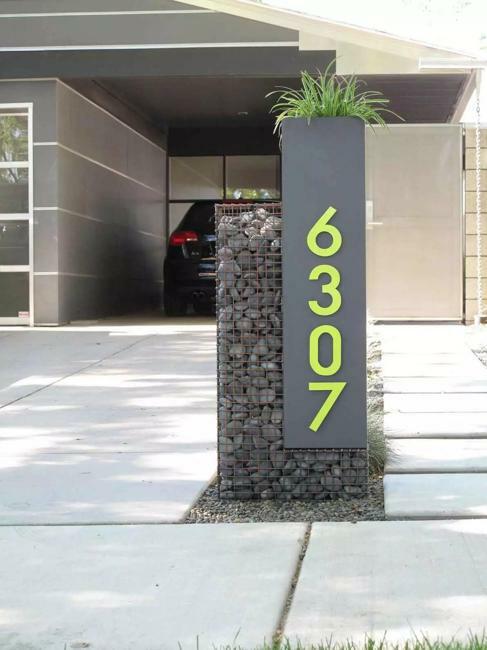 Some designs are customized, but many ideas are easy to implement. 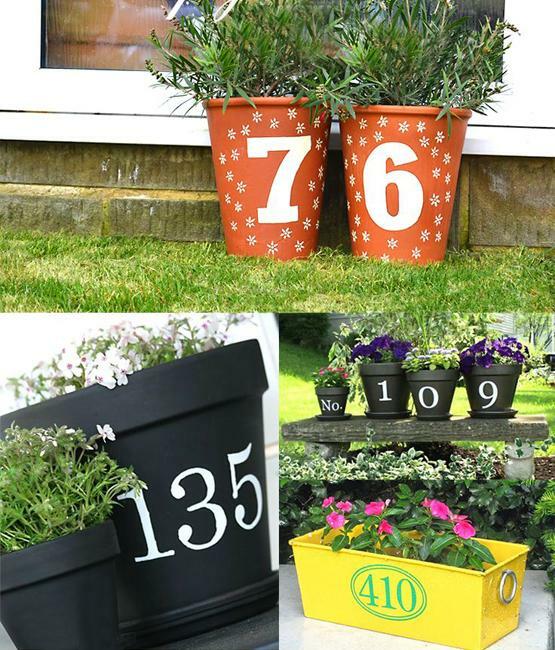 The simplest, but very original and charming way to personalize your home is to use flower pots and paint your house number in contrasting color.